In 1998, entrepreneur Jack Penrod introduced the world to Nikki Beach, the first and original luxury beach club concept that combines the elements of music, dining, entertainment, fashion, film and art, part of an overall philosophy of celebrating life. This has since expanded into a lifestyle brand comprising of worldwide beach clubs, as well as luxury hotels and resorts. Opened in 2016 on the waterfront of Pearl Jumeirah, Dubai, the newest addition to the Nikki Beach family brings together the 'Celebrate Life' ethos with cutting-edge architecture and the brand’s signature modern, all white décor, tribal influences and stylish ambiance. It was important to the client that wherever possible, art should be created specifically for the space, and take a more abstract form rather than figurative. The focus was on minimal, stand-out pieces which draw from the Nikki Beach colour palette. 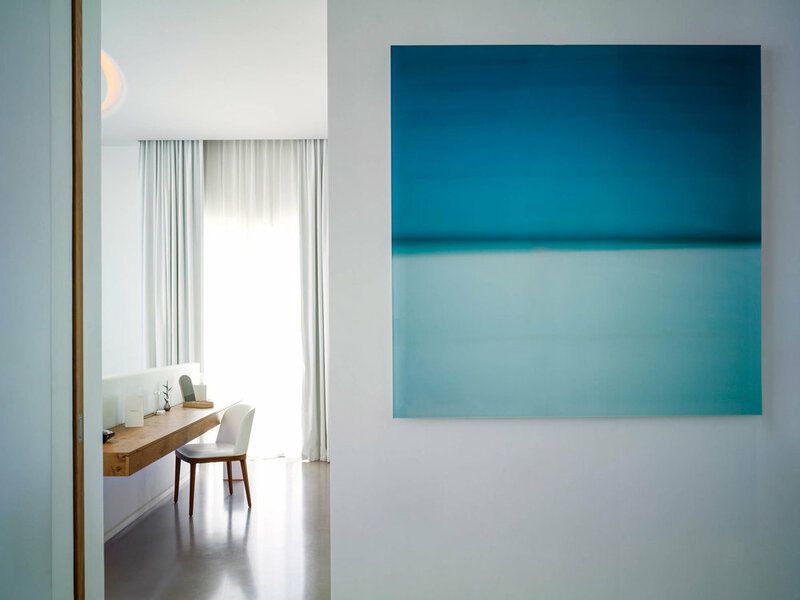 Capsule Arts designed an art package to fit seamlessly within the soft, clean design of the hotel and which also reflects its stunning beachside setting. 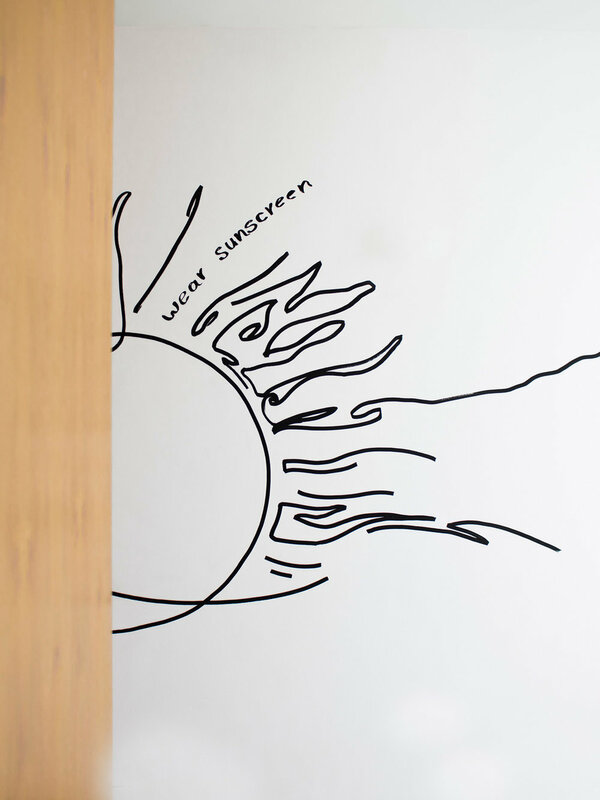 The team worked with artists that interpreted the Nikki Beach brand and natural environment in unique and diverse ways. 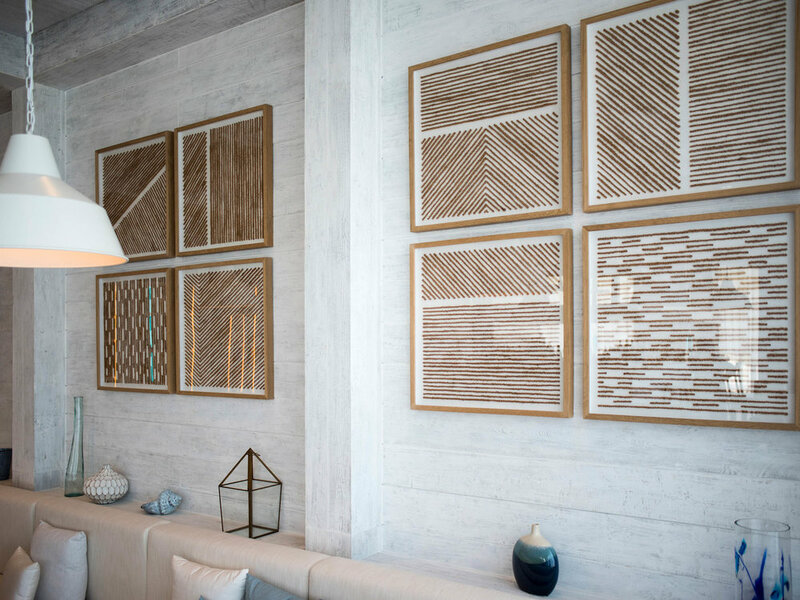 At every turn, custom-made pieces greet guests of Nikki Beach, from the innovative Leader’s portraits – fabricated as perforated panels – through to a sprawling site-specific drawing that develops throughout the guest room corridors. The ocean is subtly referenced in a number of pieces in the hotel, such as a large wooden totem sculpture in the Beach Club which recalls drift wood. Capsule Arts commissioned art across an array of mediums, including photography, sculpture, 3D installations, murals and original paintings. In addition to creating art for the hotel, our team also styled the interiors of the F&B outlets with accessories. Lama Khatib Daniel was commissioned for the original drawing murals in Nikki Café and the hotel corridors, while designer Bersun Erturk created the Sheikh portraits and a 3D installation of geometric shapes in the lobby area. Other featured artists include photographer, Paul Thuysbaert; art studio Big Art Co; and painters Melanie Cosgrave and Kathryn Wilson. Capsule Arts’ team also developed and executed a number of concepts in-house.